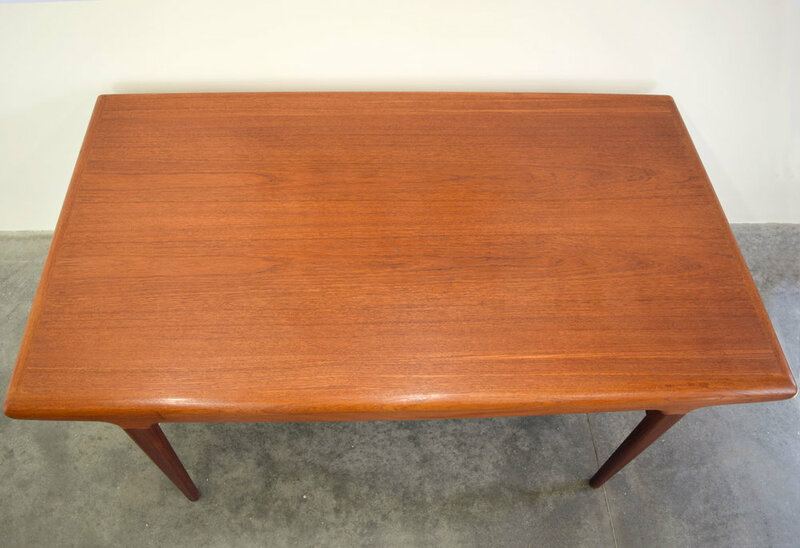 This beautiful, elegantly carved 1960s Danish teak dining table is much larger than most we see. 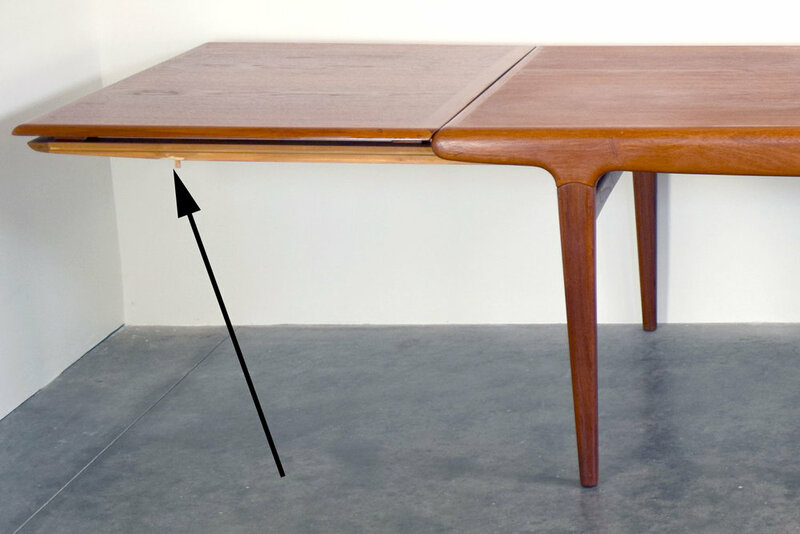 Not only is the table itself wider and longer than usual, but it contains two colossal self-storing leaves! Extend one or both as the party dictates. By master designer Johannes Andersen for Uldum Møbelfabrik. 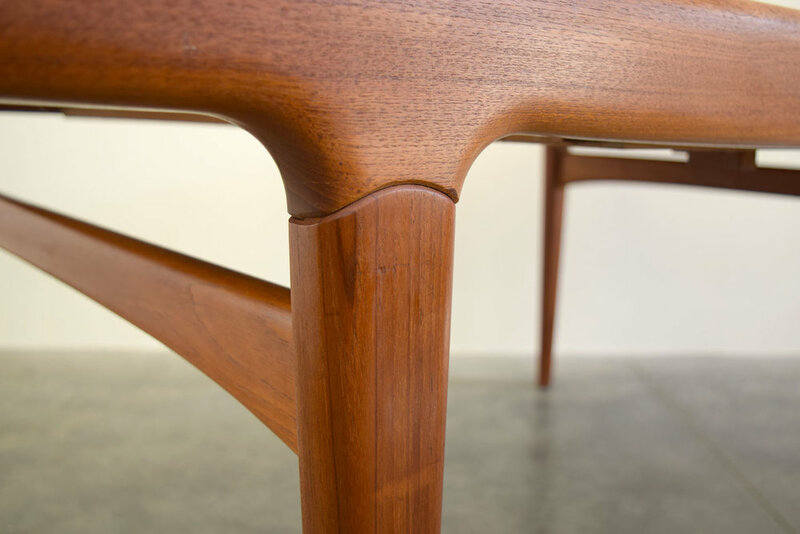 We love the softly curved, beefy edge profile and joinery details. 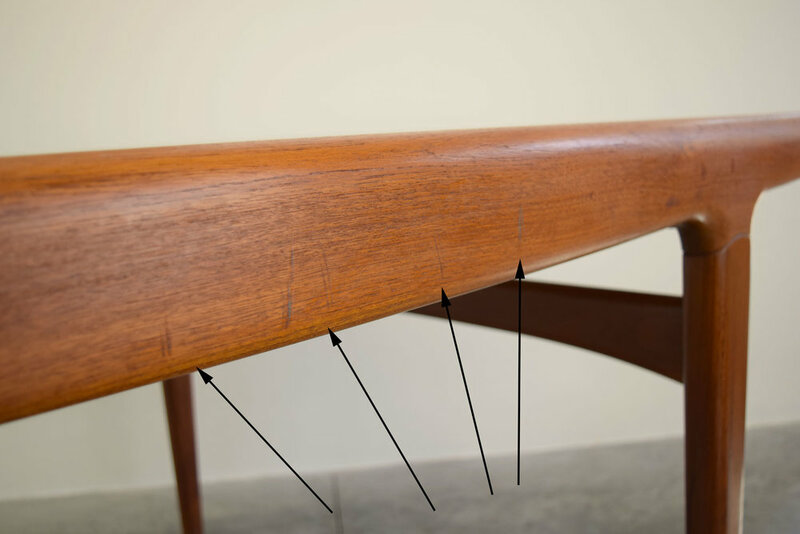 A very handsome and unusual table! 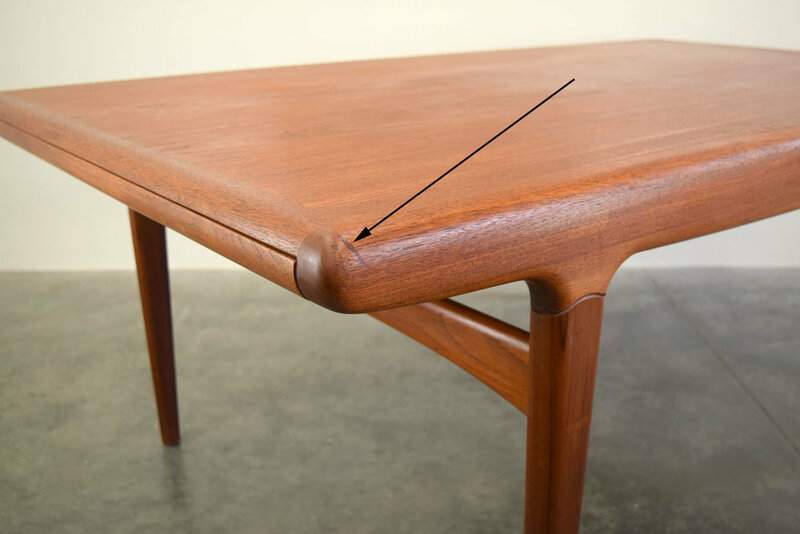 This table is in very good vintage condition. 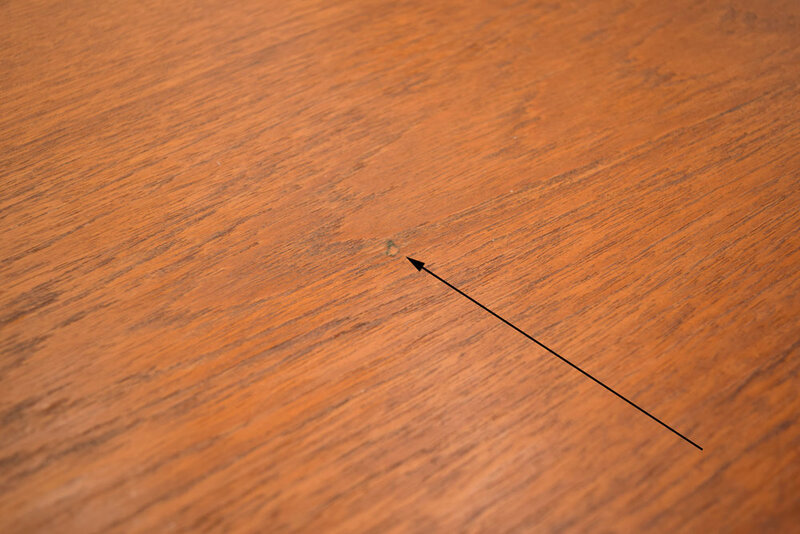 The tabletop shown only a few minor scuffs and dings as shown. 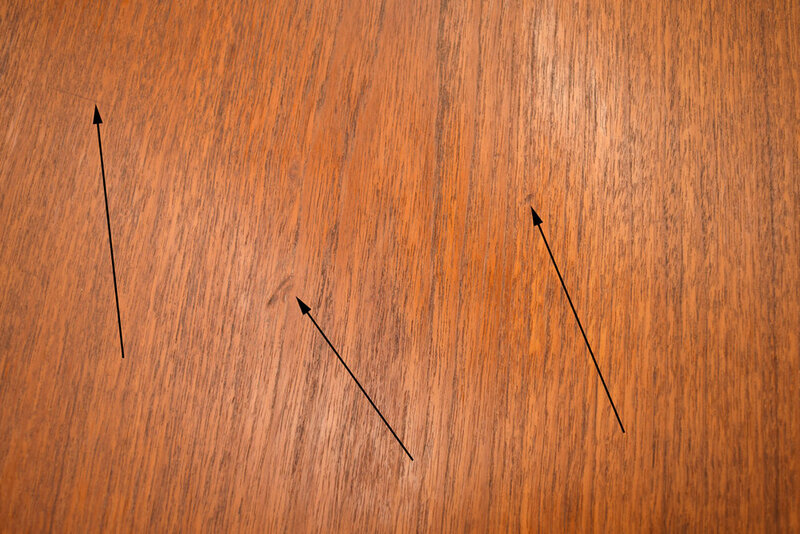 There are a few areas of scratches on the sides. 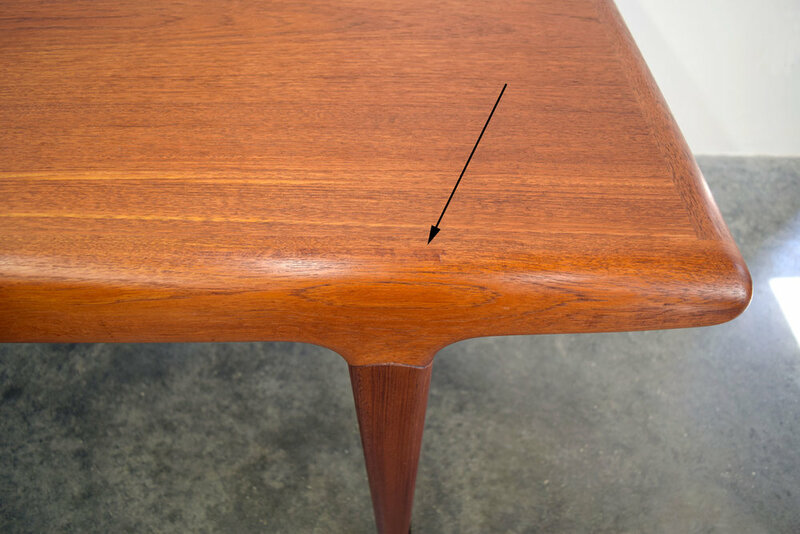 There are a couple of well-done professionally repaired splits: on one corner, and underneath on one side where it is not visible. 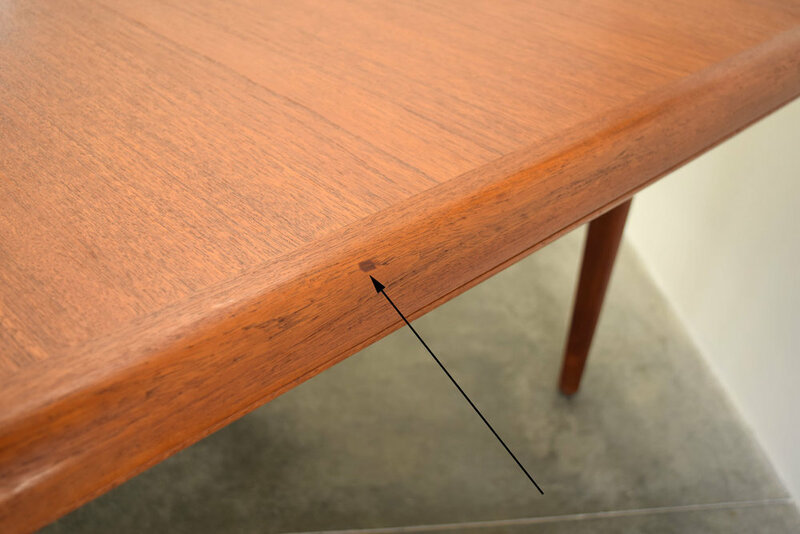 One of the leaf supports has a chip on the bottom edge, only visible when leaf is extended.